So much of the life on our planet goes on right underneath, and sometimes inside, our noses. 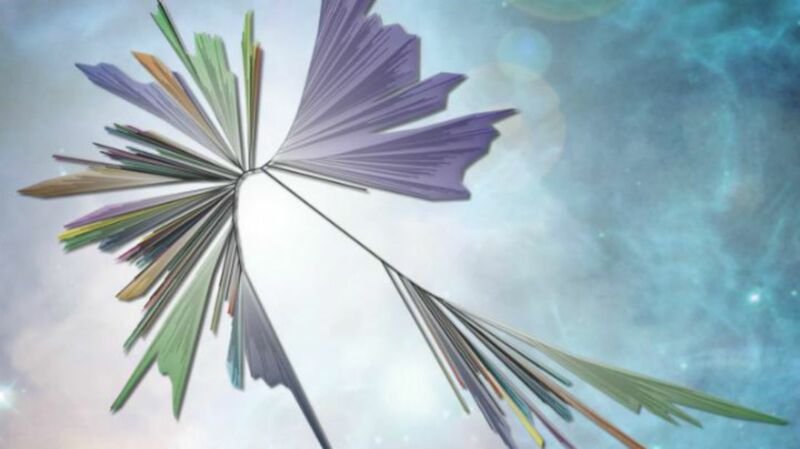 Researchers have drafted a new tree of life that’s mostly bacteria, revealing the astonishing scope and diversity of the hidden world. The research was published in the journal Nature Microbiology. The tree of life is a branching diagram, like a family tree, that illustrates the relationships between all of the organisms on the planet. The very first tree of this type belonged to Charles Darwin, who sketched it in his notebook while developing his theory of evolution. We’ve learned an awful lot about biological relationships in the last two centuries. Every few years, researchers will revise the tree to reflect new understanding of the way we’re all connected. As a result, the branches of the tree have grown very, very dense. Last year, scientists decided to curl the trunk into a spiral in order to accommodate the 50,000 species contained therein. Now, once again, the tree has grown—albeit in a very different direction. Here’s a quick Biology 101 refresher. Every life form belongs to one of three domains: archaea (single-celled microorganisms), eukaryotes (that’s us! and plants and other animals and lots of things), and bacteria. These domains are the three biggest branches on the tree of life; from there, each splits into its own sub-branches and twigs. Previous versions of the tree have focused mainly on eukaryotes, because, well, the creators were eukaryotes, and we like to think we’re pretty important. And we are! Don’t get us wrong. But when it comes to sheer scope, say the authors of the Nature Microbiology study, bacteria have us seriously beat. The researchers pulled genomic information from a variety of sources. They combed through the Joint Genome Institute’s IMG-M database, eukaryote genome data from several previously published studies, and new analysis of more than 1000 obscure or under-studied bacteria and archaea species. These organisms were collected from a pretty eclectic range of sites, the authors write: “a shallow aquifer system, a deep subsurface research site in Japan, a salt crust in the Atacama Desert, grassland meadow soil in northern California, a CO2-rich geyser system, and two dolphin mouths.” Dolphin mouths! After sifting through all of this information, the researchers fed their data into a program called the Cyberinfrastructure for Phylogenetic Research (CIPRES), which helped them draft a new, more comprehensive tree. Assembling the rich, gargantuan diagram required thousands of hours, but eventually it was done, and it looked unlike any tree of life the researchers had seen before. We've long known that we're outnumbered by bacteria; as evolutionary biologist Stephen Jay Gould wrote, "Our planet has always been in the 'Age of Bacteria,' ever since the first fossils—bacteria, of course—were entombed in rocks more than 3 billion years ago. … On any possible, reasonable or fair criterion, bacteria are—and always have been—the dominant forms of life on Earth."